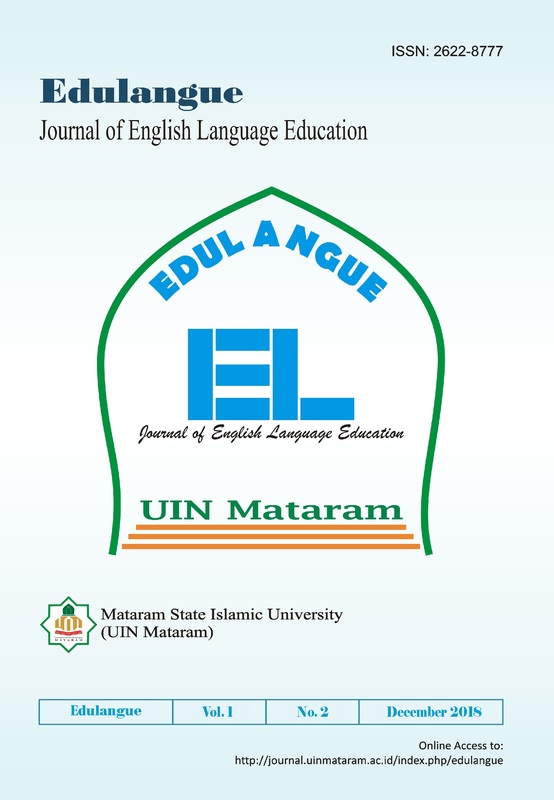 This second issue of Edulangue December 2018 comprises of six research articles entailing various issues, including an analysis of ELT practices in an Indonesian High School context, motivational strategies employed by lecturers in an ESP classroom, the use of reading strategy (SQ4R), the employement of Interactive Games for the teaching of Question Tags, the use of Course Review Horray strategy, and reflective practices in a teacher professional development. 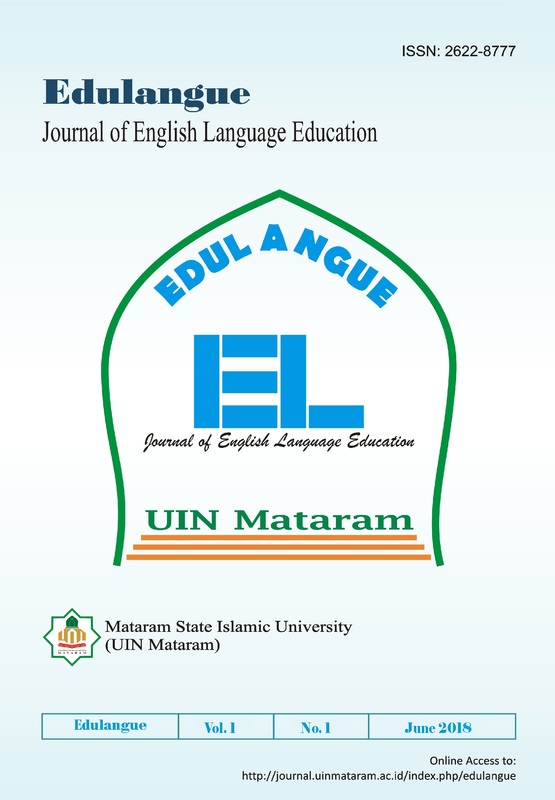 This first issue of Edulangue June 2018 comprises of six research articles entailing various issues, including action research in ELT classrooms, Error analysis and thematic progression in English language writing, effects of emotional intelligence, Blended learning in EFL context, and Speech act proficiency. This is the second issue of JETELL 2017 journal whose OJS faced a technical issue, and the journal has been replaced by Edulangue due to the scope of the research and for the sake of future accreditation.